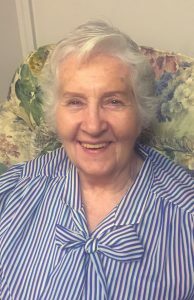 Shirley Ann Mays Brown, 82, born May 13, 1936, died August 24, 2018. She is survived by her children – Charles Brown, Michael Brown, Scott Brown, Laura Geer, and son-in-law Todd Geer; her grandson Michael Brown and his wife Erica Brown; and great granddaughters Julia Brown and Eva Brown. Her memorial service will take place Saturday, September 22, 2018 at 11:00 a.m. at Ascension Lutheran Church, 1225 East Morehead Street, Charlotte, NC 28204. In lieu of flowers, donations may be made in her memory to the Alzheimer’s Association. The Good Samaritan Funeral Home is serving the Brown Family.